The unprecedented existential crisis which engulfed the Central Bureau of Investigation last week following the Alok Verma-Rakesh Asthana episode did not escalate to damaging levels, thanks to a crucial intervention made by the Supreme Court. In this context, it will be of interest to remember that the CBI itself is kept alive by a ventilator support extended by the SC through a stay order. About five years ago, the Gauhati High Court had struck at the root of the CBI by declaring its formation to be "unconstitutional". The High Court order passed on November 6, 2013 terminated the existence of the agency by quashing the Government Resolution which gave birth to it. A declaration of unconstitutionality made by a High Court will operate across the country. The possibilities of the widespread repercussions of the Gauhati HC judgment send panic waves across the central establishment. The judgment came as a shocker to the Central Government, quite understandably, as it would have rendered the investigation and prosecution carried out by CBI in thousands of cases void. The then Attorney General Goolam E Vahanvati rushed to the residence of the then CJI P.Sathasivam, as the Courts were closed for holidays. A few months back then, the SC had remarked that "CBI is a caged parrot speaking his master's voice". 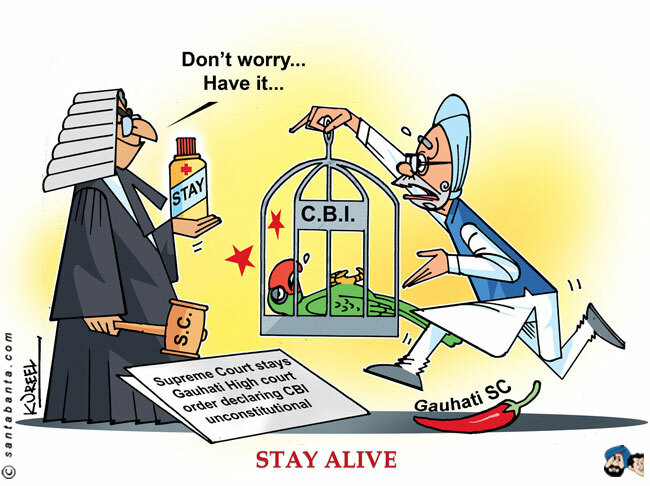 Nevertheless, the SC was mindful of the importance of keeping the 'parrot' alive. Hence, the then CJI obliged for an urgent hearing at his residence and issued an order of stay of the HC judgment. It is this stay order which is keeping the CBI alive, even on this date. The unexpected decision of Gauhati HC came in a petition filed by one Navendra Kumar, who was facing trial following a final report filed by CBI. He challenged the constitution of CBI and contended that CBI cannot have the power of arrests, search and seizure, criminal investigation and prosecution as it was not a statutory body, but creation of an executive order. The CBI was constituted by a Special Resolution passed by Ministry of Home-Affairs on April 1, 1963, purportedly in exercise of powers under the Delhi Special Police Establishment Act (DSPE Act) 1946. The Court held that the tenor of the Resolution revealed its ‘ad-hoc’ nature, especially from the wordings “as a first step” in the Resolution. 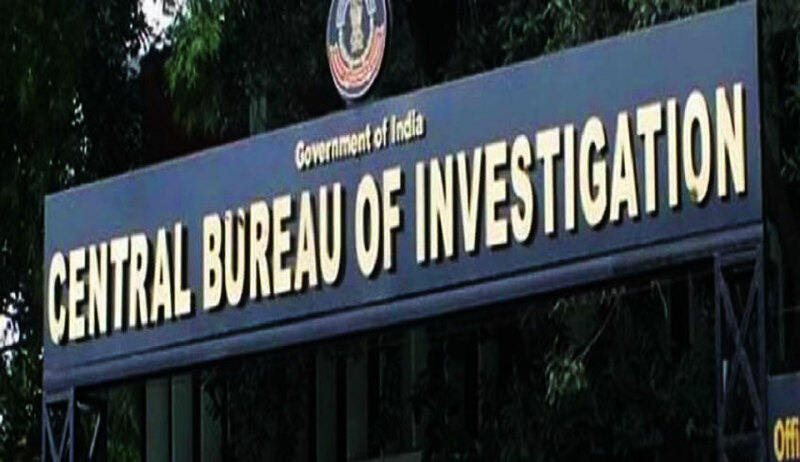 From the examination of minutes leading to the Resolution, the Court noted that the Government itself had expressed that the Resolution was a temporary measure to be in force until appropriate legislation was enacted to constitute CBI. Hence, the Government was itself aware of the need of a statute to back the formation of CBI. The Court further noted that DSPE Act is an act for establishment of a special force in Delhi for investigation of certain offences in Union Territories. Therefore, there cannot be the creation of a police force under the said act for the purpose of investigation in States. The executive powers of the Union do not enable them to create such a police force. Also, as per the DSPE Act, the police force established under the same is specifically christened as the 'Delhi Special Police Establishment' and therefore CBI cannot be termed as police force acting under the DSPE Act. “The learned ASG has completely failed to show that the CBI can be said to have been established or constituted as an organ or part of the DSPE or is a special force, which has been constituted by taking recourse to Section 2 of the DSPE Act, 1946. We have, therefore, no hesitation in concluding that CBI is not established under the DSPE Act, 1946, or is an organ of the Delhi Special Police Establishment” , held the judgment delivered by Justice Iqbal Ahmed Ansari and Justice Indira Shah. The attempts made by the Union to trace the powers for creation of CBI from Entry 8 and 80 of List I were not allowed to succeed by the Court. Entry 8 is 'Central Bureau of Intelligence and Investigation'. Entry 80 permits the Parliament to enact laws for extending the application of police force of one state to another state with the latter state's concurrence. The Court held that 'investigation' as used in Entry 8 did not mean 'investigation' as defined u/s 2(h) of the CrPC. Relying on the Constitutional Assembly Debates, the Court held that the Constitution never contemplated a central agency for carrying out criminal investigation. What was envisaged was an agency for collecting and sharing information and intelligence regarding inter-state crimes and 'investigation' as used in List I meant only a limited enquiry for gathering such information and not an investigation which could lead to filing of a charge-sheet and initiation of prosecution. Likewise, the HC held that Entry 80 did not enable Central Government to create a special agency under DSPE Act in order to exercise investigative powers in States. It was further held that executive orders do not qualify as "law" which could restrict the fundamental rights guaranteed under Part III of the Constitution of India. Therefore, CBI, which is just an executive creature, cannot make arrests and detention so as to restrict Article 21. Since it is not a lawfully constituted police force, CBI cannot exercise the powers of investigation, registration of FIR, filing charge-sheet etc. under the Code of Criminal Procedure. “The impugned Resolution, dated 01.04.1963, can, at best, be regarded as departmental instructions, which cannot be termed as ‘law’ within the meaning of Article 13(3) (a) nor can the executive instructions, embodied in the impugned Resolution, dated 01.04.1963, be regarded to fall within the expression, "procedure established by law", as envisaged by Article 21 of the Constitution. Situated thus, the actions of the CBI, in registering a case, arresting a person as an offender, conducting search and seizure, prosecuting an accused, etc., offend Article 21 of the Constitution and are, therefore, liable to be struck down as unconstitutional”, observed the High Court. On the above findings, the CBI was declared as unconstitutional. It was further declared that CBI had no powers to investigate and prosecute crimes. It is hard to dismiss the judgment of Guahati HC easily, as it raises several legal issues which deserve deep examination. Although the SC has passed several orders to protect the institutional integrity of CBI, it never had occasion to consider the constitutionality of the formation of CBI . The conclusions of Guahati HC that DSPE Act does not give power to form CBI through executive fiat and that an agency without statutory backing cannot exercise powers of investigation and prosecution under CrPC are on firm grounds, which are tough to be shaken. The only remedy to cure the lacuna is a legislation to anoint and sanctify the formation and existence of CBI with retrospective effect. However, no attention in that regard has been given. Though the DSPE Act was amended in 2013 to provide for mode of appointment of CBI Director, this issue did not engage the attention of legislators. While the present controversy has enlivened discussions regarding reformative measures to insulate the agency from political influence, the stake holders may also keep in mind that the very existence of the agency is hanging by a loose thread extended by the SC. The life support given by the SC is dependant on the outcome of the pending appeal against Gauhati HC decision. Hence, concrete steps to solidify the foundation of its existence may also be considered in the meanwhile.